When I first got pregnant, I went back and forth on a lot of things. Was I excited or terrified? Both. I was, and still am, both. I wanted to buy all the things and then none of the things. It was, and still is, pretty overwhelming. Even if you've always dreamed about being pregnant, which I haven't, there is a lot to get use to. A lot to figure out. Your body does weird, strange things and those things will be different than what your mom and other friends experienced. And on top of all that, your body undergoes this crazy change in how it looks. You're bloated and feel fat, but you don't really look pregnant yet. Some days I still don't look pregnant, others I look super pregnant. It has taken me a while to figure out this whole dressing the bump thing, so I thought I would share what's worked for me. I make no guarantees it will work for you, but here's what's worked best in the first half of my pregnancy. Also, while there are links in this post, they aren't affiliate posts nor am I being compensated in any way for these items. In this post, I'm going to talk about non-maternity clothes. 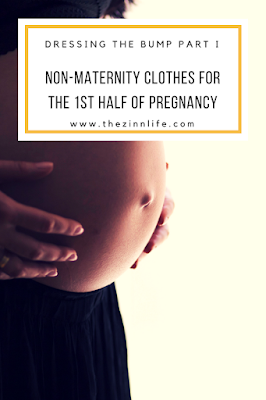 Because most of what I wear is actually non-maternity. Everyone tells you to get a maternity bra. First off, I think they are ugly and don't give a lot of support, at least not the ones that I have seen. I'm actually still in my regular bra. I was already a larger cup size, so I haven't gained much in that arena. In addition, I was on the tightest hooks, so I've had soome room to grow and am now back on the loosest hooks. I have outgrown about 4 of my sports bras, but most are still fitting me. The key to a good bra in the first few months is comfort and the ability to expand. I have found that I almost always want to wear a bra of some sort now as the support is necessary. Here are some of my favorites that I'm wearing right now. 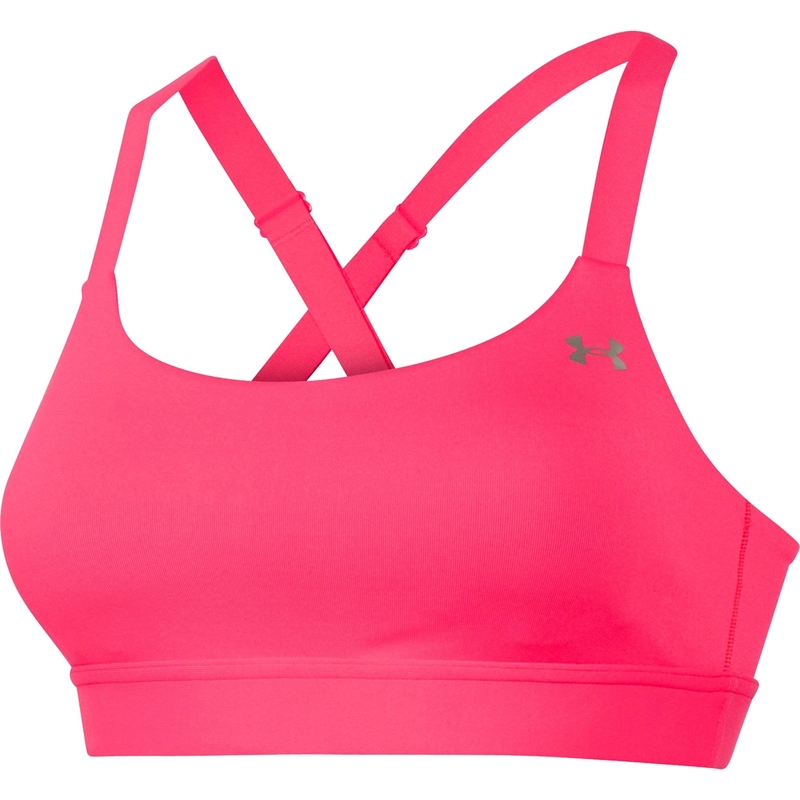 The Under Armour Eclipse Mid Impact sports bra has been one of my favorites for a while now. And don't be fooled by the "mid-impact" label. I'm a DD and it provides plenty of support for boot camp/HIIT classes, running and spinning. The straps are adjustable and criss-cross, distributing the weight across your back. I also loved the Victoria's Secret Incredible sports bra for the high-impact nature, but it's so restrictive that I can't wear it (and breathe) anymore. This one allows for some expansion while still giving good support. I said earlier that I hate ugly bras and it's true. I do. My friend gave me some of her nursing bras and I didn't love them. I'll wear them, but they aren't my favorite. I found this one, that's very similar, but prettier!, at Target. The Gilligan and O'Malley Lace Back Bralette has the crossover in the front like a nursing bra, light support/padding, but the straps in the back are a really pretty lace that also happens to be really comfortable. And it's all about comfort! I don't know that it would be enough support for me going out in public, but it's perfect for lounging around after work. I sized up to an XL so that I would have some room to grow into the bra. I'm giving LulaRoe it's own category on this post. 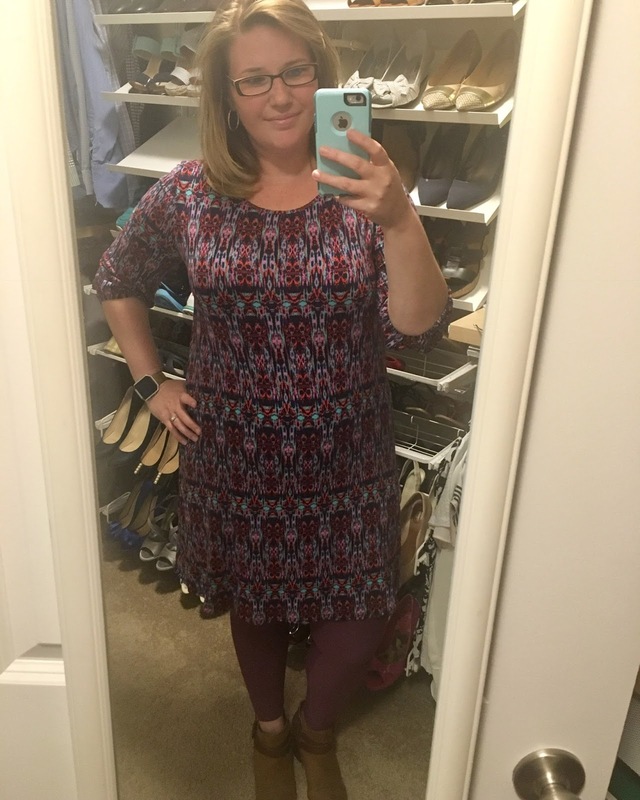 When LulaRoe first came out, I swore it was stay-at-home-mom garb (no offense). I didn't think it translated well into the office, but I was wrong. Honestly, it all depends on the print and how you style. It also greatly depends on the consultant and how good they are at styling outfits for you. I have three consultants that I stay true to and they all have great inventory and a great eye for outfits. I already loved Lula by the time I got pregnant, but now? It's been a lifesaver. I get why women are rabid for it. I wear it at least three times a week. I'm still in the same sizes as I wore before and I love knowing that I'll be able to wear them after, so it's not like I'm wasting my money. 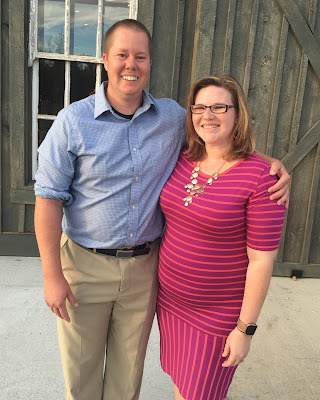 While I wear other styles as well, here are my go-to styles for the first half of your pregnancy. I live in this skirt for work. I go between a size medium and large. This skirt has been great because the waist band is very soft and stretchy. I'm still wearing my same size that I was before while I've been out of regular pants since about 10-12 weeks. These are great with a Perfect tee if you're feeling on the bloated side or a tank/tee with a cardigan for a little more pulled together. The Julia is great for when you're pregnant. It shows off the bump oh so well. If you aren't comfortable with your bump yet, pair it with a regular cardigan or the Lindsay Kimono to give you some cover. I wear an XL in the Julia, which is what I wore before. If kept to my own devices, I would wear nothing but cardigans. All day, every day. They are an amazing layering piece, in my opinion. And the Lindsay is even better, especially those early months of pregnancy, because it's loose and flowy. 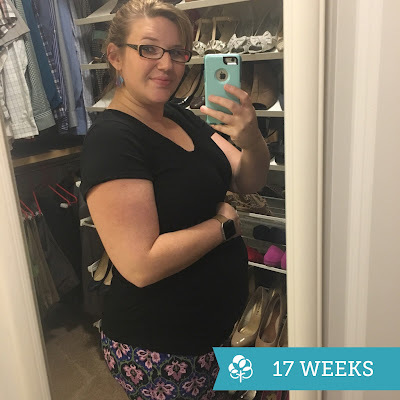 It's great for hiding your growing bump when you aren't ready to tell the world and hiding it when you still feel mostly bloated and not pregnant. These are on the pricier side ($54), but they are worth it! I have three now and rotate them constantly. I have a really pretty jacquard, a silky one and a comfy cotton one. I wear a small in these. The Randy was the first piece of Lula I truly loved. I've always been a sucker for a good baseball tee. 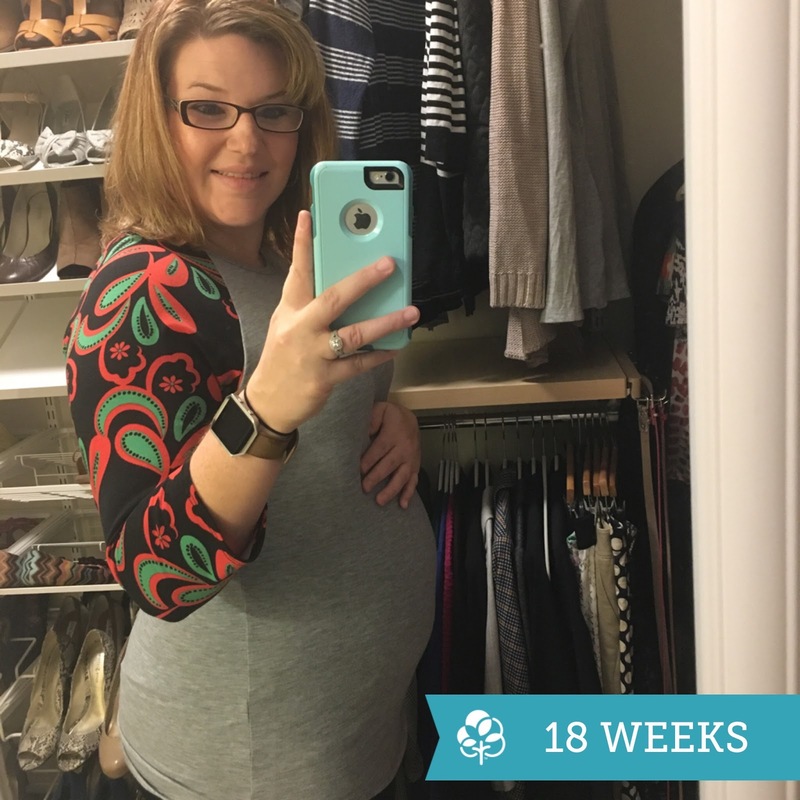 The Randy is great when you're pregnant because it's longer, so there's plenty of room for your belly to grow without stretching out the top. It's also super comfy! I wear a size large in this, the same size as before (see a trend?). 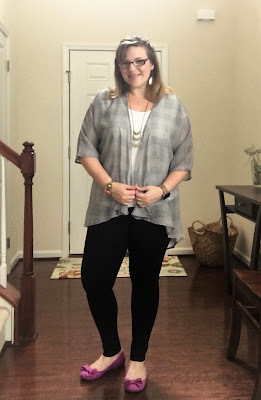 I went back and forth on whether to include this top, but I think it's great for most of the first half of your pregnancy, especially up to month four where you're either hiding your bump or the bloat. It's an A-line top, so it doesn't really accentuate your bump. Depending on how you want to show off your bump, it might be a great long-term solution or early pregnancy solution. I wear either a small or medium in this. I didn't include leggings under LulaRoe because I actually wear leggings from more than just LulaRoe. But wherever you get them, leggings are a lifesaver. I have a great pair of black leggings that I wear to work that I got at Nordstrom Rack by Vince Camuto. I also have LulaRoe leggings that I wear around the house and under dresses. Leggings, especially when pregnant, are an important layering piece if you're pregnant during the fall and winter. 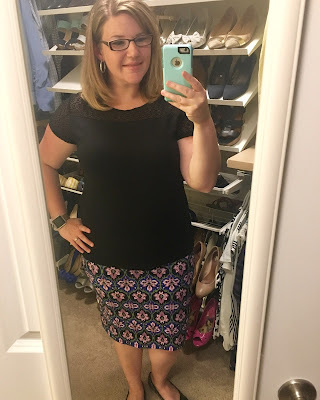 A lot of my dresses are too short now, so the leggings are helping extend their life! Also, maternity jeans and pants can be hit or miss in the beginning, so utilize those leggings! I have mentioned my love for cardis multiple times already, but I haven't explained why I love them. Simply put: they make your wardrobe last. You can honestly get by without buying more than a few maternity tees and tanks if you have cardigans. I have about 10 right now that I'm rotating through. I have work cardigans, comfy weekend cardigans. I have shorter ones that work great for jeans and work pants, I have long open cardigans that are great with skinny jeans, leggings and skirts. You don't have to close cardigans, so you can still wear the ones you owned before and, if you purchase new ones, you'll be able to wear them after. They are your best friend. Promise. 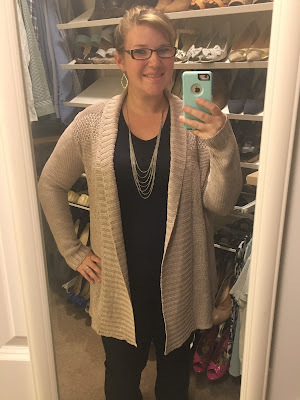 My favorite cardigans are from Target and Stitch Fix. Here are a few examples of ones that I own. Fair warning, most of these photos are pre-baby me, but I'm still wearing all of them! Tomorrow, I'll talk about the maternity specific items I've purchased and why. What non-maternity clothing did you wear throughout your pregnancy? LLR Carly is amazing. Lots of room to grow, loose, comfortable, and can be work-appropriate with the right accessories (cardigans, hah) if you work in a semi-casual environment. Yes! I have three Carly's and I love them! Two have started getting too short and I don't have matching leggings yet, so that's probably why I didn't add them. But they really are amazing and so comfy! Hope you're doing and feeling great!